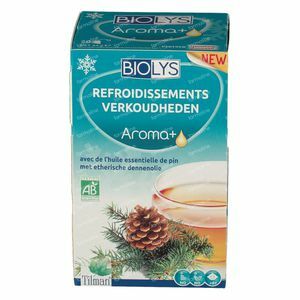 Tilman Biolys Aroma+ Colds 20 bags order online. The essential oil of the Scots pine is great when it comes to offering nasal relief during a cold. 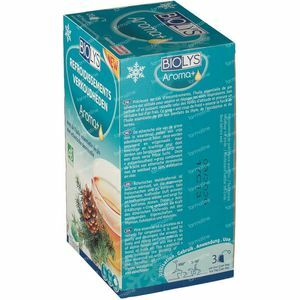 Her lively and powerful aroma of mountain forests ensures a dose of fresh air. 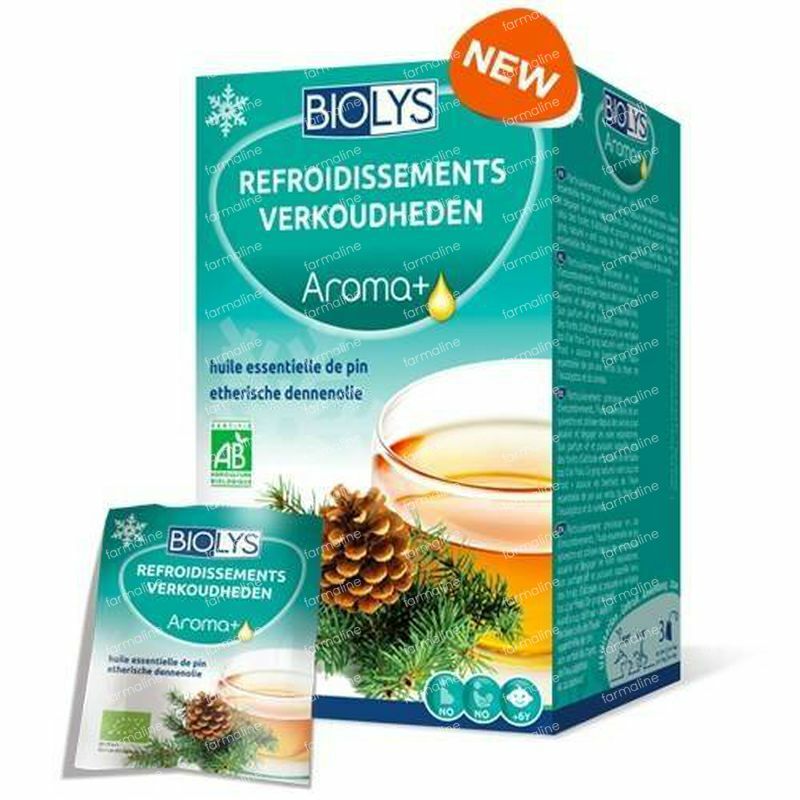 This «allergy cold»-formula combines the power of pine essential oil with the benefits of thyme, eucalyptus and elderberry. 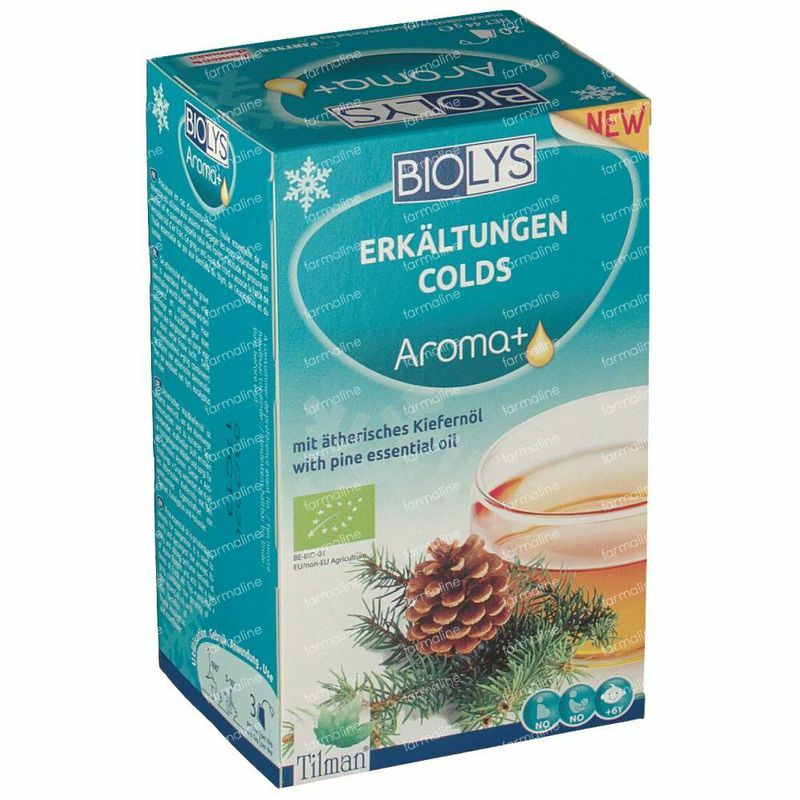 An aromatic and organic tea that helps safeguard the breathing when fighting colds. 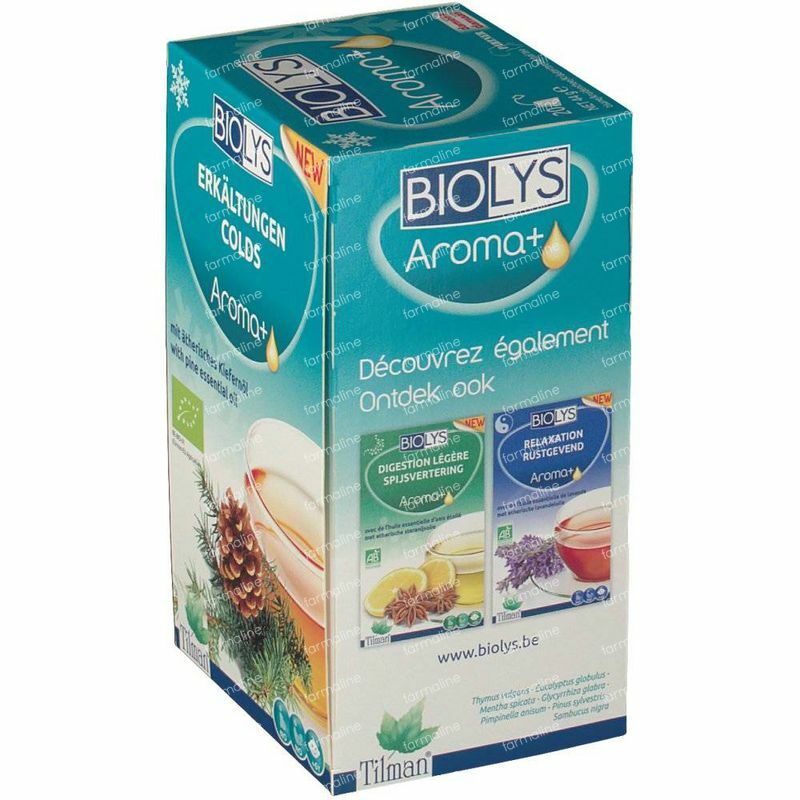 *Product of the biological agriculture. Certisys BE-BIO-01.